Mothboxer is one of those English pop bands like Squeeze or XTC with enough class to merit placing HMS—Her Majesty’s Songs—before its name. 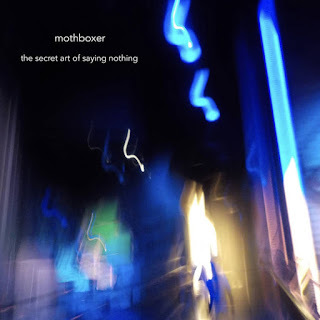 The Secret Art Of Saying Nothing is Mothboxer’s first release since Sand And The Rain was so well received back in 2014, and even the title exudes a wry sense of humor. It sports a heavier sound than in the past but not a bit of the style this band has exuded since its 2010 debut has been lost in the transformation. While the band’s mission to delve further into power pop is certainly evident, there are also enticing elements of prog rock involved here. “Right Time To Say Goodnight” evokes open spaces and the epic “Half Light,” with its instrumental passages, feels like vintage Pink Floyd. A lilting arrangement and ethereal harmonies turn “I Don’t Mind” into a thing of beauty; bringing yet another facet to this well-crafted collection.